I’ve been out and about enjoying Las Vegas with my parents, I went to a great food truck event yesterday, so expect that as my food truck friday post for next week (I was too lazy to blog at midnight last night when I got back to my laptop). For the past few months the Cirque du Soleil shows have been offering great deals for Las Vegas locals. And yes I am one of those 🙂 Since my parents told me they were coming to town I knew we needed to hit up a Cirque show, I’ve never seen one and I’ve been in Vegas for two years now. 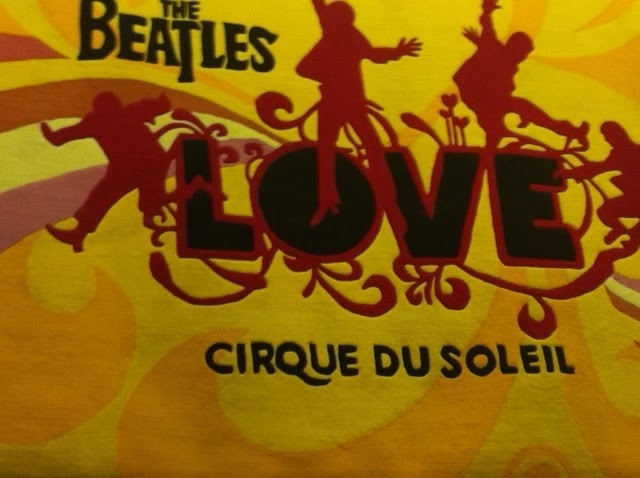 We decided that the Beatles Love Cirque show was the best one for us. They were offering Buy 1 Get 1 for $125 and we jumped on that offer. I invited my friend Melissa to come with us. 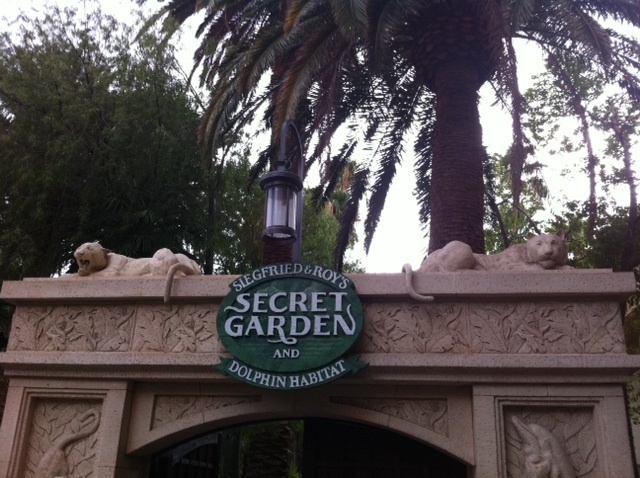 The show was at 7 located in the Mirage. I had already picked up the tickets earlier in the day and we met up with Melissa around 5 at BB Kings ( a blues/jazz club in mirage) for an early dinner. The dinner and appetizers were hit and miss. I had the spinach dip and it was just meh (and i really like spinach dip). Siegfried and Roy’s exhibit, but it was too late to go in (and too expensive). It was nice to walk around the mirage and scope things out. I’ve only ever been there to go Jet nightclub (which is a lot of fun!). 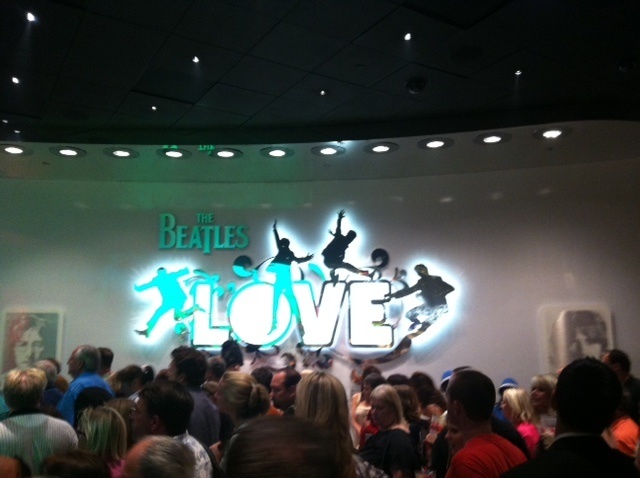 This is the entry area of the Beatles Love Theater. This is on the way out (good thing my mom likes to take photos with her iphone). There were so many people, it felt like cattle being herded out. Beatles Love was AMAZING! There is so much going on at first it was a lil overwhelming, but it was just awesome. The acrobatic elements are unbelievable and pretty much indescribable. Especially the one where the stunt made me so nervous that my hands were sooo clammy. The music is fun and I’m pretty sure my dad sang along the entire show (sorry people around us). 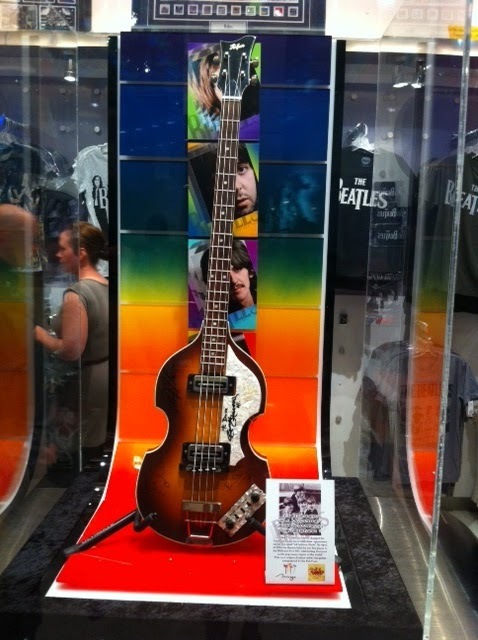 My dad loved this guitar and it was signed by all the Beatles which is pretty awesome. If you come to Vegas you def need to see this show, andddd if you need someone to hook up with a locals deal, let this girl know! I would of paid full price for this show.